As a pastoral planner for a Catholic diocese, knowing the statistics on your local Church is vital in understanding the pastoral reality of parishes and trends in the wider community that impact on faith. Statistics and church profiles are also essential to recognise trends and areas of pastoral concern over time, to form sensible recommendations and develop new goals for the future. Of course, despite the hype, statistics are not the only measure of a Church’s vitality nor are they the only basis on which decisions about structural change are made. 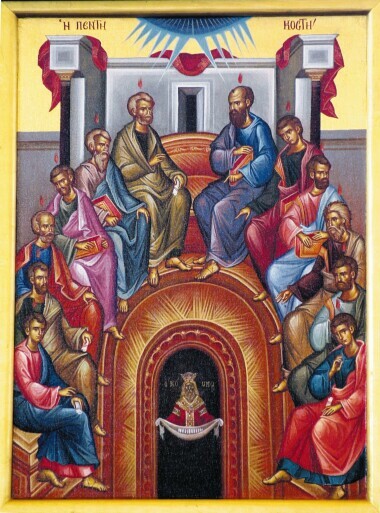 As Henri de Lubac reminds us, the Church was never more ‘catholic’ than in the Upper Room at Pentecost when all of its members could fit inside a small room. So ‘good church’ doesn’t mean ‘big church’. However, you would expect that parishes and communities with a clear identity, a strong sense of belonging, and missionary in intent would attract new members through word-of-mouth and the witness of its members (the reality too is that smaller parishes, while enjoying an ‘intimacy’ of community that can be lost in larger congregations, can often struggle financially because of the relatively small number of contributors expected to cover often rising expenses e.g. building maintenance, insurances and the like). So numbers aren’t everything but they are indeed something. Indeed, the Gospel commission to seek out new disciples is unambiguous and so parishes need to not only want to grow but plan to grow and so be organised to grow. The first step towards that growth is coming to a firm grasp with the present reality. In that spirit, I recently crunched some numbers of the 2011 Census and National Church Life Survey for my own Diocese and took note of some national trends along the way that are publicly available and give us some sense of the state of the Church nationwide (these national trends are publicly available as they are based on Australian Census data which is owned by ‘the people’. Diocesan and parish specific data is another matter however and won’t be making an appearance on this blog!). The national trends were, in fact, provided in 2012 and updated just days ago by the Pastoral Research Office, an office of the Australian Catholic Bishops Conference (ACBC) which works closely with NCLS Research, a research body sponsored in part by Australian Catholic University, the ACBC, and other denominations (to declare my hand, I am a member of the NCLS Research Sub-Committee). National data reveals that my own Diocese of Parramatta has the second highest percentage of Catholics as a proportion of the general population in the country (31.6% or nearly one in three people living within the boundaries of the Diocese are Catholic). This is significantly higher than the national average of 25.8%. (If you want find out the percentage of Catholics within your own parish boundaries, wherever you are in Australia, click here. Why is this helpful to know? In the spirit of the ‘new evangelisation’ it indicates how many people in your part of the world are baptised Catholics and allows you to reflect on the level of engagement in the life of faith e.g. the parish’s worship and potential outreach to the local community). Almost a quarter of all Australian Catholics were born overseas (23.8%), with the top three countries of birth for these being Italy, the United Kingdom (not including Northern Ireland) and the Philippines. Italian Catholics have held the top spot for the past 15 years, while the percentage of Maltese Catholics has declined over time and the number of Indian Catholics steadily increased. 52% of Australian Catholics are female and 48% male, with a median age of 37.6 years (a rise from 30.7 years in 1991). Astonishingly, 21% of all Australian Catholics are children aged under 15 (which underscores the critical importance of the family and the Catholic school as part of the new evangelisation). Incidentally, there are slightly more Catholics in the ‘40-49’ age group than any other age group (these Catholics were born between 1962-1971 and so are roughly contemporaneous with the unfolding of the Second Vatican Council). While 24% of all Australia Catholics were born overseas, they accounted for 40% of all Mass attenders. Our Mass attenders are greying. In 1996, 17% of all Mass attenders were aged 70 and over. In 2011, 27% were of the same age. Between 2006 and 2011 there was a slight decline in the proportion of Mass attenders who had attended a Catholic primary school. There was a similar decline in those who had attended a Catholic secondary school. In 2011, 85% of Mass attenders said they attend Mass usually every week or more often. This is a slight decrease since 2006, when 87% said they attended weekly or more often. As for the all-important and highly publicised ‘percentage of Catholics who go to Mass’ figure, you’ll have to wait a little longer but be assured it is on its way! In 2006, it was a humbling 13.8% as reported here (compare this to the U.S. where they lament a Mass attendance figure of around 31%!). While it demands planning, coordination and resources, including the right people, statistics can be gathered at a local level, in parishes (though most dioceses should be able assist here) and in ministry groups and initiatives of parish outreach. Good church research enables a more focused approach to pastoral care and evangelisation and for these reasons alone is well worth the effort. In youth and young adult ministry it was also important to look at where the Uni students live. Surprisingly not all our Uni students live near their university or in “college suburbs”. Often there are more 16-25 year olds in your parish than you think.